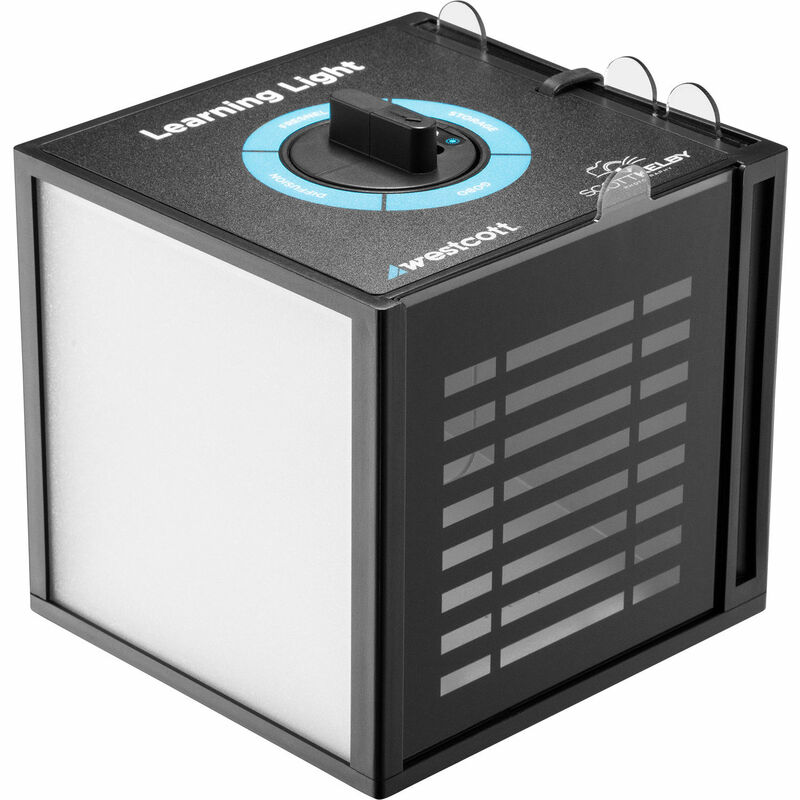 If you've ever tried to learn lighting from a book or translate a lighting technique into words, the limitations become obvious pretty quickly and the solution is the Learning Light by Scott Kelby device introduced by Westcott. Like a 4.5 x 4.8 x 4.8" "magic box" that can be handheld, the device projects real-world effects without resorting to cumbersome equipment. Inside the unit you'll find techniques like Fresnel Lighting, Direct Lighting, and Diffusion effects. Westcott also includes four gobos with patterns that are projected by the system's LED light onto the wall or onto the subject. Wescott also has portraiture covered. By moving the Learning Light at various angles around your subject you'll see Split, Rembrandt, Butterfly, and Loop Lighting techniques. To keep the information fresh in your mind the package includes KelbyOne Video Training. This effect is achieved by placing the templates/stencils in front of the light source, which controls the shape of the emitted light into specific patterns. This effect is achieved by projecting the light through the semi-translucent diffusion material, which softens the light output. Achieved by directing the emitted light through the Fresnel lens, which focuses a narrower beam of light from the original, wider light source. This effect is achieved by allowing the light output to exit the Learning Light without any modification by lenses, diffusion or gobos, which produces a broad, uncontrolled light source. Place the Learning Light 90-degrees to the left or right of your subject, splitting the face with a shadow. Place the Learning Light above eye level and to camera left or right, creating a small triangle of light on the shadow side of the face below the eye. Place the Learning Light above eye level centered above the camera creating a small, symmetrical shadow below the subject's nose. Place the Learning Light above eye-level and to camera left or right, creating a soft loop-like shadow from the nose that extends towards the corner of the mouth. Box Dimensions (LxWxH) 6.3 x 6.2 x 5.7"